Selling a company can be fraught with complexities, and it is no different for channel firms. When an owner has decided to sell his or her company, there are several considerations they should make to ensure the best possible deal. In part one of this two-part feature,?Arlin Sorensen,?vice president of peer groups at professional services automation vendor ConnectWise, and?Michael Corey, co-founder of license management provider LicenseFortress, discuss business valuations, protecting your interests and where to invest energy once the business is on the market. IN GEORGE ORWELL?s Book 1984, the party slogan was, ?Who controls the past controls the future. Who controls the present con- trols the past.? And today, it is clear that the environment we now live in is a culmina- tion of the many decisions that were made in the past. Many innovations we now take for granted?or expect to become broadly accepted?would never have been possible if past investments and research had not laid the foundation for them. Cloud technology is playing a critical role in many of these…. Yet, sales and marketing for MSP businesses and other channel firms can be an area that company executives neglect, Louissaint observed. “In fact, many of us are not sales people by default” but rather are technicians or practitioners who have morphed into the role. Michael Corey still remembers when his former managed services firm was trying to do business with a large oil company, which wanted his team to manage its computers remotely. In particular, the E.U.’s General Data Protection Regulation (GDPR), which went into effect in May 2018, is driving greater data governance awareness. According to the guide, GDPR provides the following rights to individuals regarding their PII: the right to be informed; the right of access; the right to rectification; the right to erasure; the right to restrict processing; the right to data portability; and other rights. Non-compliant organizations risk triggering fines up to 20 million euros or 4% of global revenue, whichever is higher. According to Big Data Quarterly columnists Michael Corey and Don Sullivan, the regulation language is clear ?that within 72 hours of the legally responsible party initially becoming aware of a personal data breach, all affected customers must be notified without delay. Companies choosing to delay notification until they determine how to position the incident or ?spin? the message about the breach publicly will be violating the intent and possibly the letter of the regulation.? After more than 10 years, there is no technology more aligned with advent of big data than Hadoop. The Apache Hadoop framework allows for the distributed processing of large datasets across compute clusters, enabling scale up from single commodity servers to thousands of machines for local computing and storage. Designed to detect and handle failures at the application layer, the framework supports high availability. Hadoop has forever changed the economics and dynamics of large-scale computing, and its use among enterprises looking to augment their traditional data warehouses continues to grow. Silicon Valley has achieved an almost mythical status in both modern American popular culture as well as the annals of world economic history. Located south of San Francisco, the name ?Silicon Valley? was coined in the early 1970s due to the volume of silicon chip innovators and manufacturers in the area. Today, the valley is synonymous with technology innovation and venture capital: two mighty forces of change. Originally part of VLSS, a consultancy founded in 2005 with a focus on Oracle and VMware technologies,?LicenseFortress?was spun out as a standalone company in October 2017 with a focus on real-time software license compliance and customer alerting. 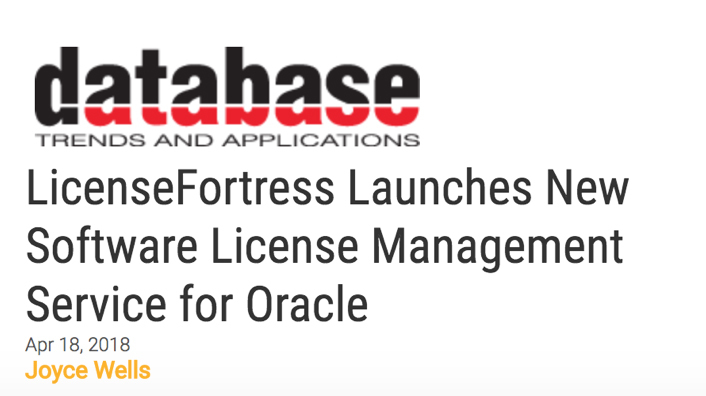 In addition to the new product, the company now offers LicenseFortress Discovery on Oracle, LicenseFortress Standard on Oracle, and LicenseFortress Premium on Oracle. According to the company, LicenseFortress Legal Edition on Oracle provides…. With news unfolding about an app was able to gather 50 million Facebook users’ data that was later resold to a political data firm in order to try to influence American voter sentiment,?industry leaders are weighing in on what this may mean for the future data governance and regulatory compliance. According to the New York Times, Cambridge Analytica?s ?psychographic modeling? was used in its work for the Trump campaign in 2016. ?But Facebook did not inform users whose data had been harvested,? the Times article noted. As the article explained, the Facebook data was gathered in 2014, when Cambridge Analytica, through an outside researcher, sought Facebook users ?to take a personality quiz and download an app, which would scrape some private information from their profiles and from those of their friends?activity that Facebook permitted at the time.? LicenseFortress has launched as a standalone entity to focus on?database software license management and audit protection service with a financial guarantee. Originally part of VLSS, a consultancy founded in 2005 with a focus on Oracle and VMware technologies, LicenseFortress was spun out as a standalone company in October 2017. ?About three years ago we realized that customers were coming to us over and over again about licensing questions and as a result we rolled out the LicenseFortress product in February 2016. We have been releasing iterations of it since that time, and then in October 2017, we formally separated out the company,? said LicenseFortress co-founder and CEO Dean Bolton. Here is a portion of our latest article on Page 38 of the Big Data Sourcebook 2018? The author Elbert Hubbard once said, ?One machine can do the work of fifty ordinary men. No machine can do the work of one extraordinary man.? These are words to take to heart as we think about the future of technology. Napoleon Bonaparte took the point a few steps further, expressing the view that 10,000 men are replaceable, but a single man is not. However, his story culminated in both generational disaster and a societal redefinition that lasted for centuries. We are precipitously close to entering an age of total automation which will include robotics in every phase of life, but hopefully, we will avoid a new age of Bonaparte. As children, our notion of robotics was that of ?Rosie the Robot,? the benign robot maid on the cartoon series The Jetsons. Yet, today many of us use the Roomba robotic vacuum cleaner in our homes. The Roomba cannot rearrange living room furniture to our liking, something not recognized by the science fiction writers of previous generations, but Roomba-like machines can perform an amazing array of arithmetically programmed tasks. Today?s Cloud: What We Know, What It Means, the New Role of ?Cloud Keeper? Cloud technology has been around in some shape or form for more than 50 years. How can we make such a claim? Let?s compare today?s cloud computing to computer timesharing from the 1960s. Timesharing was a computing environment that supported multiple users simultaneously. This sounds suspiciously similar to the modern idea of ?the cloud.? What we did not have 50 years ago was the internet. We did not have super-fast, ubiquitous connectivity. Can you imagine going into a Starbucks and not having free Wi-Fi available? With the recently unleashed WannaCry ransomware attacks targeting computer systems globally, a number of Data Summit 2017 sessions looked at the need for smarter approaches to data governance, security, and changing regulatory requirements. This year at?Data Summit 2017, Michael Corey, director, cloud computing evangelist, Spectrum Enterprise Navisite, and Don Sullivan, product line marketing manager for Business Critical Applications, VMware, discussed cloud myths and realities in a session titled, ?The Cloud Landscape Today.? In the Wild west of public cloud services, companies need a trusted advisor, said Sullivan and Corey, who noted that fork lifting applications to the cloud is not the same as architecting for the cloud, one size does not fit all, and the cloud is not always cheaper. To read the entire article click the link…. As many organizations begin to look to the cloud to increase the efficiency and availability of their databases and applications, while reducing costs and complexity, one of the reasons for pause for many companies is security. This year at?Data Summit 2017, Michael Corey, director, cloud computing evangelist, Spectrum Enterprise Navisite, and Don Sullivan, product line marketing manager for Business Critical Applications, VMware, engaged in an entertaining conversation on the topic of cloud security. Are the Public Clouds Too Big to Fail? In October of 2008, Congress enacted the Emergency Economic Stabilization Act, more commonly known as the bailout of the financial system. It was deemed that certain U.S. financial companies and institutions were too important to the systemic stability of the system to be allowed to become insolvent. The understanding was that catastrophic financial consequences would be the result of the failure of these entities and that those aggregate failures could devastate the U.S. As a result, they have been heavily regulated and controlled with the intention of protecting against that type of exposure again. The recent major outages in the public clouds services inevitably lead to the same question being asked of this new industry. That is, whether or not certain public cloud services have become so critical to the functioning of the U.S. economy that those systems should be subject to the same strict scrutiny and control as the financial systems. Are they so intertwined with U.S. commerce that a ?Cloud Dodd-Frank? should be considered by the 115th session of Congress? Although hard to precisely verify, it has been reported that a recent public cloud outage affected service to more than 50% of the top 100 online retailers. What happens when a major public cloud problem brings down half of the 911 systems across the U.S., or even one-third of certain critical state and local government systems? Everyone, from the federal, state, and local governments to public and private industry, is using public cloud services, and the trend is continuing to accelerate. What we did not have 50 years ago was the internet. We did not have super-fast, ubiquitous connectivity. Can you imagine going into a Starbucks and not having free Wi-Fi available? Also, 50 years ago, we did not have cheap, fast storage nor did we have lightning-fast processors. We did not have true abstraction of the physical resources into virtual resources as we have today. The programing language ?C? was just emerging as a portable programing language across all computer operating systems and the relational database was yet to be conceived. In the last 50 years, the computer industry has evolved tremendously. Yet, in so many ways, we still have a long way to go. Amazon’s Simple Storage Service (S3) outage?prompted observations and reflections from industry experts about the need for proactive cloud services monitoring, the requirement to diversify with multi-cloud strategies, and even the possibility of “too-big-to-fail” safeguards for large cloud services providers. The disruption, which took place on Feb. 28, affected many AWS customers for more than 4 hours, impacting websites and other services. As?Amazon explained later, the cause of the service disruption in the Northern Virginia (US-EAST-1) Region?was found to be simple human error. Contingency Planning – The cloud infrastructures are so stable that we are forgetting about what we do if there is a problem. It?s like your home internet which works pretty well 99% of the time, and then once in a while you have a disaster.? For this reason, Apple and Starbucks no longer rely on one public cloud provider. The other thought that jumps out at me is the memory of the financial institutions that almost took down the U.S. economy during the financial crisis of 2007-2008. I wonder, moving forward, whether this similarly opens the door, as more people go to the cloud, for cloud services to be regulated?although I hate the thought of regulation…. ?Despite his youth, The Sage?Mattie Stepanek spoke these prescient words: ?Even though the future seems far away, it is actually beginning right now.? There is much wisdom in those 13 simple words. Careful observation of our surroundings enables us to divine, with some level of predictability, the future. We all can view the crystal ball in front of us if we are willing to open our eyes. We simply need to dedicate the time to observe and learn. Let?s see what the future holds for us today. If one considers the inception of the system known as ?Amazon Web Services? (AWS) to be the onset of what has become known as the public cloud, then today the cloud is more than 10 years old. After 10 years, the cloud industry would have you believe it is mature and stable, safe and secure and that it is, most importantly, fit to use as an essential infrastructure component of a modern 21st-century business. Yet, insiders remember the clich? of caveat emptor, or buyer beware. Many providers of cloud services market the idea that all critical computing functions should be run using their public cloud services because this paradigm is the future and the future is now. While we do share that long-term vision, the reality is less impressive, and the solution is not yet complete. Amazon itself does not run 100% of its critical business systems in the AWS Public Cloud, a fact that was revealed in The Wall Street Journal article, ?Cloud-Computing Kingpins Slow to Adapt to Own Movement.? This is also true for Google, Microsoft, and other top cloud providers…. What Does the Yahoo Breach Mean for Data Security? As the details of the Yahoo data breach have come to light, the news seems eerily similar to other such cyber-attacks. Data management and security professionals reflected on what the breach means for companies and their customers in terms of current security best practices. While the shock of this large-scale data breach feels familiar as it is by now widely accepted that no company is immune, the precise details of the Yahoo case stand out as being notable. ?According to news reports, what is known is that the account information for a minimum of 500 million Yahoo users was stolen, possibly by state-sponsored hackers,……. Let?s face it ? technology-centric issues such as uptime, scalability and security are complicated to deal with, and many non-tech business leaders don?t want to hear about them. Many non-tech leaders ? and tech executives for that matter ? consider one of the attractions of the cloud is its promise to relieve them of having to think too hard about these burdens. However, if you are thinking of handing over responsibility for these crucial elements to a cloud provider, think twice, think three times. That?s the advice of ?Ntirety?s?Michael Corey and VMware?s?Don Sullivan, who cast skepticism on public cloud providers? promises to take care of their customers?……. Public cloud services vendors have had a number of notable outages that have taken down well-respected web-based companies, temporarily putting them out of business. In a session, presented at Data Summit 2016 by Michael J Corey,?president,?Ntirety ? A HOSTING Company, and Don Sullivan,?system engineer database specialist,?VMware, posited that, despite the fact that cloud is no longer a cutting-edge, disruptive technology, 10 years after it first came to the fore, in many ways, the public cloud environment is still the Wild West. The cloud services industry has become big business. In 2015, Amazon Web Services was estimated to have generated nearly $7 billion in revenue, making AWS the undisputed leader in the public cloud space. Microsoft Azure trails AWS with an estimated $2 billion in revenue. The proverbial ?cloud? is huge business, but the industry trend is even more ominous. The pervasive corporate mindset to transition all levels of infrastructure to some cloud, somewhere, is accelerating the growth of the cloud industry with a rapidity so far unseen in the history of computing. This phenomenon has resulted in weighty pressure on CIOs to develop and deploy an effective and comprehensive cloud strategy or risk their organization falling behind this undeniable trend. The internet changed the information technology game, but now the cloud constitutes an entirely different league…….. The Big Data Source Book is always one of my favorites. We are asked by the publisher Database Trends and Applications to use our many years of experience to determine where we think technology is headed.? I wont give it away, you will have to read Cloud Technologies Advance Fueled by Openness and Machine Learning to see where Don Sullivan and I think we are headed in the near future. Buyer Beware?Which Rules Still Apply in the Cloud? ?Caveat emptor? is Latin for ?Let the buyer beware.? In the realm of the modern information technology cloud, this sage advice rings especially true. Some MSPs view the cloud as children regard a dark place ? it?s scary. But scary as it may seem, every MSP needs some kind of cloud strategy. To be fair, plenty of MSPs have successfully added cloud services and, in the process, reinvented themselves as well-rounded managed IT service providers. They realized that adding cloud solutions is a logical and necessary step…..
Is Your Database The Next Ticking Time Bomb? Let’s rephrase the question above: The next ticking time bomb is your database. Regardless of whether you run Oracle, Microsoft SQL Server, or MySQL, the odds lean toward your organization having a ticking time bomb.? The only question to be posed is whether you are going to become collateral damage or diffuse the bomb before the damage happens. USA TODAY:? NYSE blames software upgrade for outage……. First announced in?September, Windows 10 has become available as a free upgrade in 190 countries. According to a blog posted by?Terry Myerson, executive vice president of the Windows and Devices Group (WDG) at Microsoft, the release which represents a ?new era of Windows? is the beginning of the company?s plan to deliver on a vision of ?one platform, one store, and one experience that extends across the broadest range of devices from the smallest screens to the largest screens to no screens at all.? …..
Just as the IT channel was getting comfortable a half-dozen years ago with managed services, another new service model was vying for recognition ? the cloud. Many MSPs have since added cloud-based services, but some still struggle with how to go about it. The Virtual Infrastructure War: Who Is Goliath and Who Are the Many Davids? There are a number of factors driving organizations toward the adoption of virtualized infrastructure, which corresponds with leveraging the proverbial cloud. Business pressures, including cost reduction, scalability, and ?just-in-time? application software implementation, are just some of the requirements prompting businesses to ?cloudify? at least some aspect of their IT infrastructure. 2. Utilize a public cloud provider. 3. Utilize a private cloud provider. Most organizations will choose between private and public cloud services providers (CSPs). The question is quite simple:…..
Today we live in the age of the ?cloudification of information.? This massive cloudification of data is straining the already-stretched-thin in-house database administrator (DBA), who historically has been the custodian of a company?s data stored within its traditional databases. Now the data stored within those databases is being comingled with data from outside data sources, much of it from the cloud. Every company?s goal is to gain better insight into its customers? tendencies, prospects? interests, and competitors? vulnerabilities. DBAs are expected to find ways to overcome obstacles as their organizations try to ingest and comingle all this data from the cloud. As a result, many companies are transforming themselves from companies that ingest data from the cloud to companies that live and breathe in the cloud, further helping to fuel the cloudification of data….. 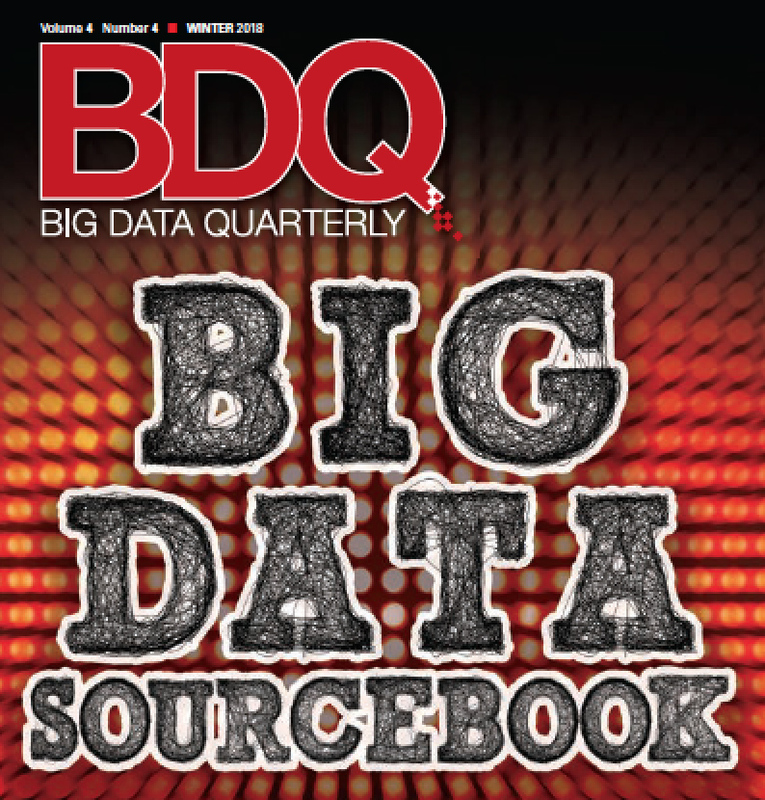 Introducing Database Trends and Applications magazine?s second edition of the Big Data Sourcebook! This is your guide to the enterprise and technology issues IT professionals are being asked to cope with as business or organizational leadership increasingly defines strategies that leverage the ?big data? phenomenon. Make sure you read As Clouds Roll In, Expectations for Performance and Availability Billow. The amount of data being generated, captured and analyzed?worldwide is increasing at a rate that was inconceivable a few years ago. Exciting new technologies and methodologies are?evolving to address this phenomenon of science and culture creating huge new opportunities. These new technologies are also fundamentally?changing?the way we look at and use data. The rush to monetize ?big data? makes the appeal of various “solutions” undeniable. ?But companies?must perform proper due diligence to fully understand the current state of their data management?systems…. In the beginning, information was unknown.? Eventually, the growing populace absorbed information as it was passed on by each generation person to person, but only the elite had access to that knowledge base.? King James and Guttenberg made that information more accessible to the general public but still, access to information was very limited.? Galileo, the famous Italian physicist, mathematician and astronomer, originally published his finding in Latin that proved the world was in reality round not flat. Even though this science contradicted church doctrine, the population remained apathetic. When Galileo then published those same findings in Italian, he was excommunicated. By sharing this knowledge outside the “inner circle” he became an outcast. The world was not quite ready to share the “knowledge base” with the common man. As time passed, the ability of the privileged to keep the knowledge base contained to a privileged few waned. You’re a database administrator, working hard, never catching up. You keep the databases humming morning, noon and night, weekdays, weekends and holidays. Or at least you try to. But things happen. And it’s not always your fault. Databases crash. You try your best. But sometimes that’s not good enough. Your company grinds to a halt. Sales are lost. It’s all on you, and you?re alone. 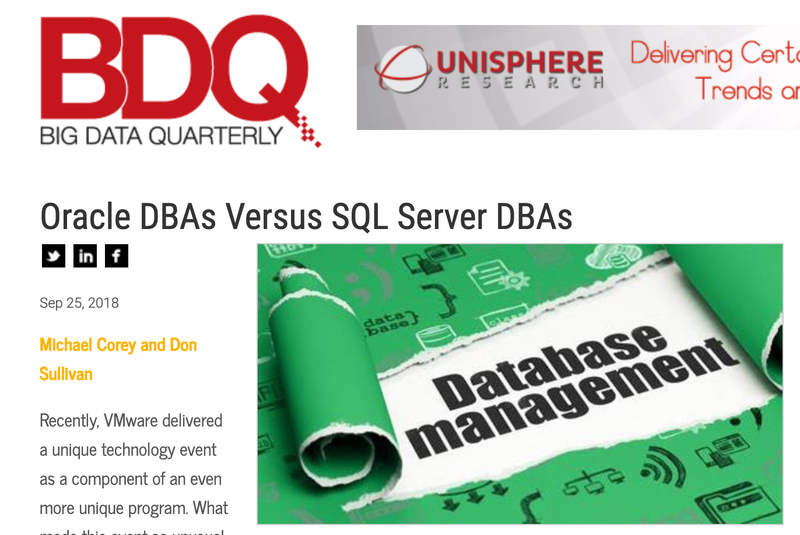 This type of stress is causing a serious problem in today’s business world as the rapid expansion of databases crashes head-long into the 20-year shortage of DBAs we rely on to keep these complicated systems functioning. Today’s global businesses need to find the solution to burnout among DBAs who suffer Atlas Syndrome, a feeling the weight of the entire business is on their shoulders.